The Revollusionists Magic & Illusionist Show are no longer playing in Branson. World-renowned Magician, Creator and Producer Brett Daniels now presents the world premiere of the next generation of world-class ensemble illusionary theatrics, The Revollusionists. A ramped-up, break all the barriers, never before seen on Planet Earth Show! The Revollusionists features five internationally-renowned grand master magicians which include Brett Daniels, Kevin James, Reza, Luka and Kid Kadabra, plus a multi-talented supporting cast. A rotating cast of superstars of magic will appear throughout the season. This show is nothing short of phenomenal, with magicians who each bring a unique personality and repertoire. 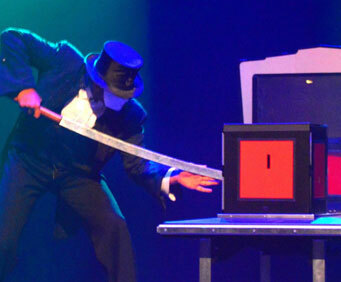 Audiences are charmed, intrigued and amazed by incredible and unique illusions. 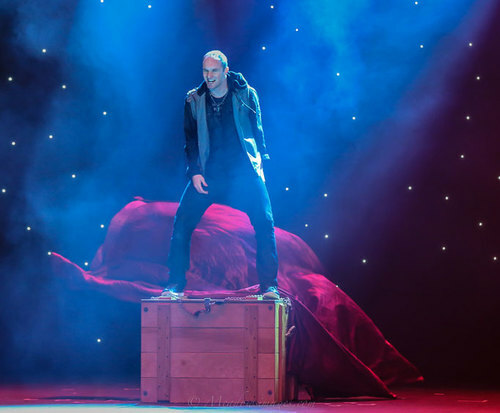 Brett Daniels - Internationally recognized for his exciting style of cutting-edge illusionary performances combining innovative large-scale illusion with dynamic theatrics and world-class slight of hand. He likes the large-scale illusions like making a motorcycle disappear, and performing with his birds. Kevin James - An awe-inspiring creator, comedian, and collector of the strange an unusual. Kevin possesses the ability to produce unique and original magic effects. Reza - One of the fastest rising young superstars. He presents a visually stunning, new-age repertoire. You wont find him pulling rabbits out of a hat in his edgy act. This guy is a 'Rock Star' of illusion. He first appeared in Branson for a six week run when he was only 15, and has been seen coast to coast and around the world since then! He is back, and more magical than ever. Kid Kadabra - Unprecedented talent from this slight of hand sensation. Mind-bendingly unreal, a little bit freaky, but always family-friendly miming magician. Very enjoyable show. The theater was nice and so was the staff. I would recommend this show to others.